You may know how to do a perfect smoky eye and can contour like nobody's business—but when's the last time you cleaned off your makeup brushes? It turns out that none of us are cleaning off our brushes nearly enough as we need to. So, how do we clean them off properly? And how often do we need to be doing this? Let's go over the basics. How Often Should I be Cleaning My Makeup Brushes? Our makeup brushes, as it turns out, can get pretty grimy. Oil and dirt can get trapped on our brushes and sponges, which we'll then spread all over our faces—leading to breakouts or illnesses (not cute). Experts recommend that you soak tools like foundation and concealer brushes at least once a week in order to prevent bacteria from building up. And anything that touches the area around your eyes—such as eyeshadow brushes or eyebrow brushes—should be washed at a minimum of twice per month. Cleaning your makeup brushes may seem like a pain, but it really doesn't take too long to do it and the results are well worth it. 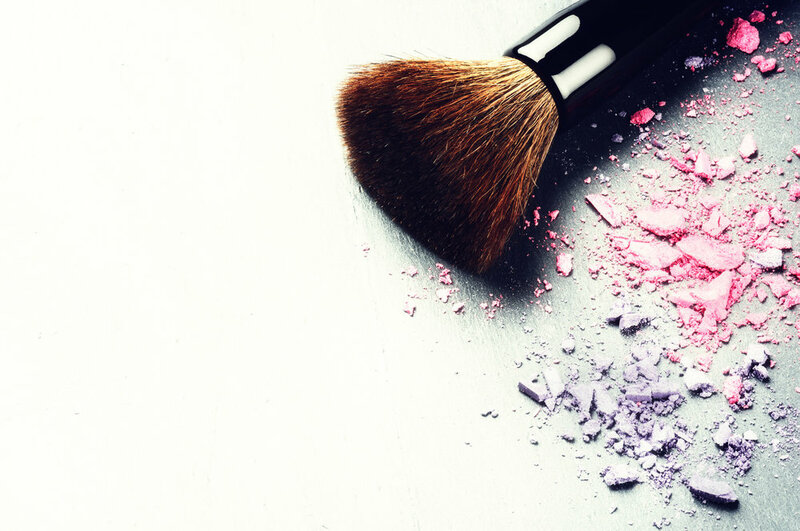 Not only can you prevent bacteria from building up, but you can also make your makeup look even better. When there is so much old makeup residue caked on a brush, it can make it harder to blend. Run your makeup brushes under lukewarm water. At first you'll notice a lot of makeup residue running off into the sink—let it run over until the water runs clear. Avoid getting the area where the handle meets the brush wet because it'll loosen the glue, causing it to fall apart. Fill your bowl with lukewarm water and put a tablespoon of your brush cleanser or baby shampoo. Twirl your brush around in the bowl until you work up a good lather. Rinse your makeup brush off again underneath the sink until the water runs clear. Repeat until every makeup brush you regularly use is clean. Lay your brushes to dry on your lint-free cloth. Thinking About Hiring a Makeup Professional? Do you have a special event coming up in Fort Lauderdale that you need professional makeup services for? Call us at (954) 523-2772 to schedule a consultation or an appointment with a professional makeup artist today!